There are few products with more built-in demand than marijuana. While most dispensaries in states that allow medical and recreational marijuana are focused on growing their customer service staff, cultivating their supply chain, and navigating the regulatory enviroment, smart dispensary owners are quickly learning that just a little bit of SEO can create massive benefits for marijuana dispensaries. SEO can help you rank in the local results, or the “map pack,” for searches with commercial intent. If someone searches for “marijuana dispensary near me,” around 30% of searchers will click on or call the first result. If you’re just advertising on other platforms without also investing in SEO, you’re already missing out. SEO can help you rank in the organic results, below the map pack, for the same kinds of searches. If you’re the top ranked business in the map pack, as well as the top ranked business below it, you’ll show more authority and earn much more business—immediately. SEO can help attract clients from outside your home town. Whether you offer delivery services or operate strictly as a brick and mortar business, SEO can help you reach customers in nearby communities in ways that other marketing channels cannot. Learn more about why SEO isn’t optional for marijuana delivery services. SEO can transform your branded search. When someone searches for your business by name, an SEO specialist can help you control what people see. This helps you priorize your best review sites, your most complete menu, and the best photos of your business. SEO can improve your branding on commercial searches. If someone searches for a dispensary near them, an SEO specialst can help your assets on other websites, like your Weedmaps directory listing, show up higher as well. SEO can help you shape public dialog. If you operate in a market where some people are resistant to marijuana legalization and usage, an SEO specialist can help you develop and publish content that shows marijuana as a responsible form of recreation and medical treatment. It can also help raise awareness around local votes and measures that could impact marijuana usage. SEO can help you grow your brand and attract the right kinds of customers. An SEO specialist can help you can publish content about your favorite medicated recipes to reach out to those who are reluctant to smoke, content about health and safety to attract more medical patients, locally-focused content to establish yourself as part of the community, legalization-focused content to position you as an activist, or even goofball content to show that you’re easily approachable. SEO can help you connect to media outlets. Many SEO specialists also understand elements of public relations and can help you secure coverage by local news stations, local blogs, industry blogs, and more. SEO can help you grow your social media. An SEO specialist can help you strategically integrate social media feeds and signups into your website and online properties in order to maximize your social media reach and presence. SEO can help clarify your dispensary’s offerings and policies. An SEO specialist can help you claim, manage, and prioritize business listings on other websties to ensure that your contact information, hours, and policies are consistent. SEO can help you better manage your reviews. Online reviews are crucial for small businesses, and it’s easy for bad reviews to slip by unnoticed. An SEO specialist can help you establish proceedures to catch and correct bad reviews, monitor your competitors’ reviews, and grow you own at a faster rate. SEO can help you rely less on expensive business listings. Some marijuana directories, especially one that rhymes with “swim laps,” already charge ridiculously high prices for placement and could easily charge more in the future. The more you grow your own marketing channels, the less you have to rely on them. SEO can help you grow your customer database. 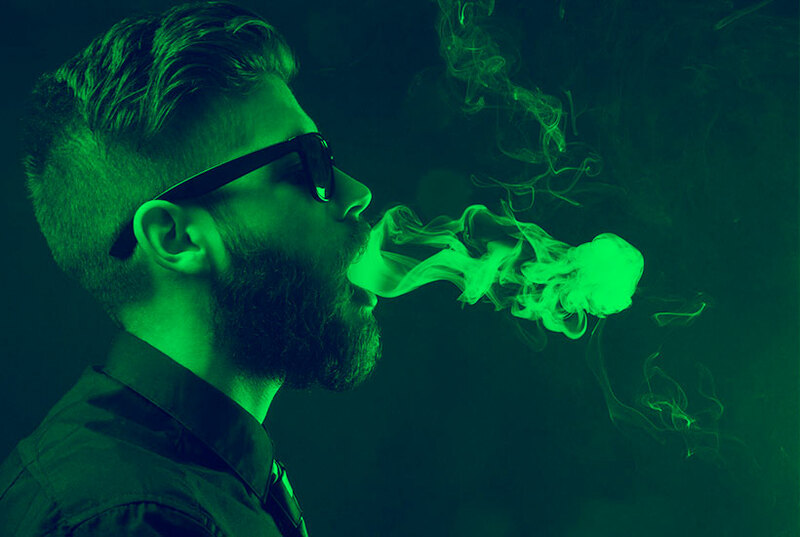 While many integrated marijuana marketing systems don’t let you access your own customer databases directly, SEO can help you grow and maintain databases that can be used for email marketing and remarketing. SEO can help you get more out of your marketing. An SEO specialist can help you identify ways in which you can better leverage your current offline advertising plans, online marketing campaigns, and even business relationships to grow your bottom line. SEO can help you identify disconnects between you and your audience. If your website loads a little too slowly, if the wrong word choice in a title is scaring customers away, or if visitors click on one thing and are taken to another, an SEO specialist can help you track those issues down. If you hire an cannabis SEO specialist that also offers web design, they can often perform these fixes and upgrades without your involvement. SEO can help you indentify underserved segments in your community. Going through your competitiors’ bad reviews is just one way to spot common complaints that aren’t being addressed, and an SEO specialist can help you find and execute the best way s to capitalize on those weaknesses. SEO can help you build trust and credibility. A specialist can help you find trust-building elements that are missing from your competitiors’ websites, such as budtender profiles, and build them. SEO can help turn your casual customers into loyal brand advocates. Connect with your clients with new content, email outreach, social media outreach, and remarketing to influence larger and more frequent sales. SEO can help promote the products you want. Suggest complementary products on your store, put your new line of medicated carmel corn front and center, or segment your past customers to reach the ones who will love to hear about your edibles for dogs. The choice is yours. SEO can build momentum for your business. SEO has the ability to amplify almost any business success, from winning an award or hitting an anniversary to just getting a new pinball machine for your lobby. SEO professionals have a surprising amount of ways to get more benefits from even the most mundane accomplishments. An SEO company can make everyday edits to your website. Whether it’s for compliance, marketing, or just upkeep, a hands-on SEO company can handle your website edits without paying a separate developer. If you still have questions about what SEO can do for you, get in touch today. We’re happy to offer no-pressure help by email or over the phone.